Amp is Lyft's front emblem for eligible drivers to enhance your ride experience and energize the Lyft community. To see if your region is eligible for Amp, check the 'Amp' tab in the Lyft Driver app. Amp sends a message to greet riders when you pick them up, but you won't be able to change what these messages say. This helps keep rides smooth and safe. Amp will also display "New Ride" when you receive a ride request. Heads up: many province and local regulations require you to display both your front and back emblems when you’re in driver mode. Learn more about province and city regulations. "New Ride" will flash on the back of your Amp when you receive a new ride request. This only happens on fresh ride requests, not during Shared rides. Passengers will be alerted of a unique Amp colour that will be projected when you are picking them up. This feature helps you stand out in the crowded streets. The current colours are green, orange, yellow, purple, white, and grey. After your ride begins, the back of your Amp will welcome the passenger by name. Occasionally, this message is followed by other special messages that are themed around events and holidays. A clock animation and ETA will play on non-shared rides to inform your passenger the estimated time to their destination. The Amp will visually announce who is getting picked up or dropped off next. To check your current tier status, click the 'Amp' tab in your Lyft Driver app. If you're still working to meet the requirements, no worries! Use your windshield emblem when giving rides. Once you've met the requirements, hold tight! We'll send you an invite with next steps on how to get your Amp. After we send your invitation, confirm your shipping address in the app. We'll let you know where the Amp is on its journey to your doorstep, usually about 2-3 weeks. Tap 'Amp' in the app. Tap 'Pair my Amp.' Scroll down to see the pair option. Quickly tap the power button once to turn Amp on or off. Holding down the power button resets the Amp. Holding down the power button for 10 seconds triggers a hard reset for your Amp. Try a hard reset if you're having persistent pairing issues. 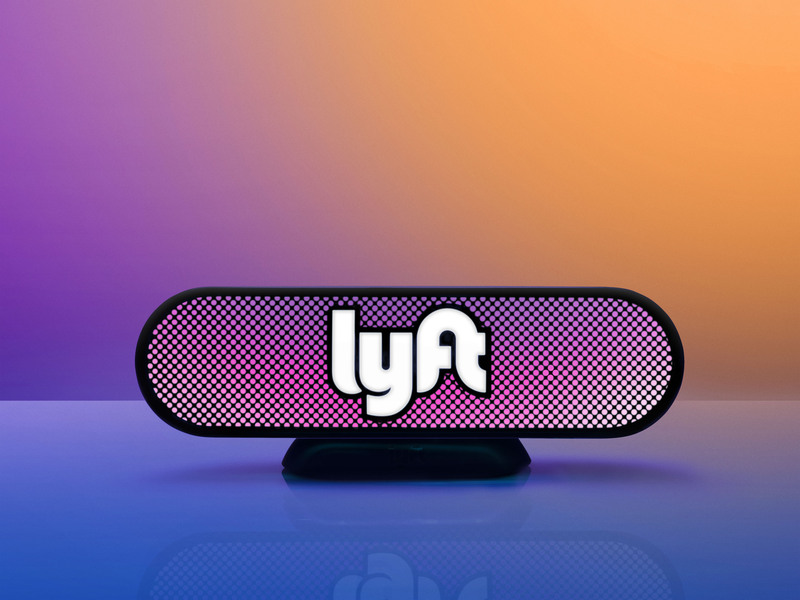 Clean a spot on your dash, remove the sticker from your magnetic base, and place the base with the Lyft logo facing the hood of your car; press firmly. Place your Amp on the base, turn on your Amp and pair it with your phone. You will keep the base on your dash, but can easily remove and store your Amp when not in use. The adhesive on the base has been carefully designed to not damage your dashboard. Amp’s battery lasts up to 8 hours and can charge in your car with any standard USB charging cable (included). We recommend keeping your Amp plugged in at all times while giving rides. Note: The battery life of your Amp may be affected by extreme temperatures (such as high heat). When the weather gets hot, try turning up the air conditioning and plugging in your Amp to save the battery from overheating. The majority of all issues can be resolved by fully charging your Amp. If the Amp doesn’t seem to hold a charge, try using a different cable. If your Amp is acting up, hold the back button down for 10 seconds to restart it. Your Amp will Auto re-pair. On the Lyft Driver app, the ‘Amp’ tab stores all information about your Amp, including how it works, installation, and many troubleshooting tips. Need more help? You can tap 'Call Me' to speak directly with our driver support team. All rental cars come fully equipped with an Amp on day 1. We ask that you please take care of these Amps and, as stated in your rental agreement, return the Amp with your Express Drive vehicle to avoid a potential fee. If you didn’t receive an Amp with your rental vehicle, contact your rental location to receive one.